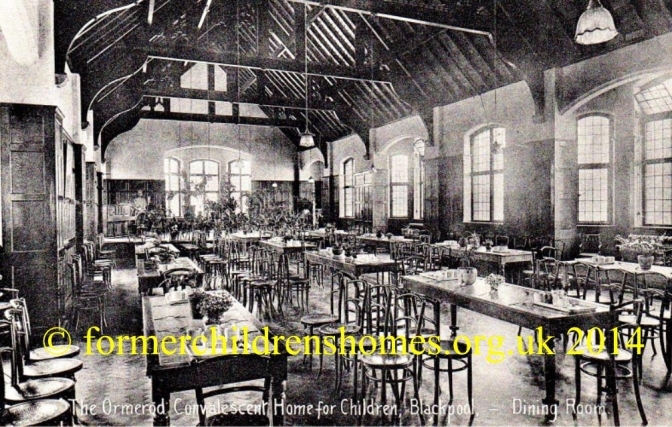 The Ormerod Convalescent Home, was founded by the Misses Ormerod (who lived in Lytham), in memory of their father Abraham Ormerod a former cotton manufacturer and magistrate in Todmorden, West Yorkshire who died in 1888. The home was also known as the Abraham Ormerod Convalescent Home. In 1890, they sisters gave the the home to the Church of England Sisterhood. Children were brought to the homes from the industrial towns of West Yorkshire, Lancashire and Cheshire, as it was thought that the sea air would be of benefit to them as they recovered from illnesses or managed their disabilities. The home was built to accommodate around 40 children but the building was extended. By 1939, it could accommodate 100 children. In 1971, a charity took over the home. The building was demolished in 1984 and a housing development now stands on the site. The Ormerod Home Trust still carries the name of the home and continues to do charitable work in the area. Their website is here [external site].